Hiya crafty peeps! Can you believe it's June already? I couldn't be happier to be headed into summer and warm weather here in the states- I'm one of those people who's always cold so hot weather doesn't bother me, in fact I quite like it! And another new month also means a new clear release over at Some Odd Girl and I just know you're going to LOVE these new sets. 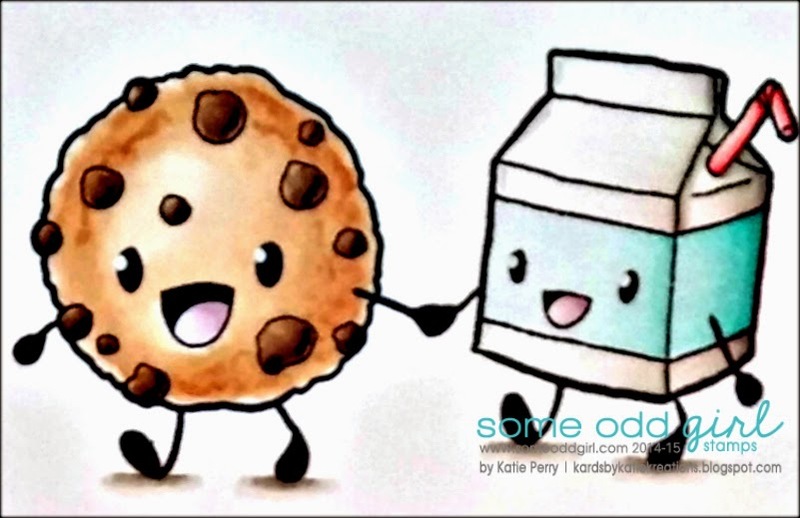 The first I have to share is called Cookies n Milk- isn't it adorable? And super versatile since the images come separate but can also be used together like I've done. I can totally see this on friendship cards, for anniversaries, school lunch notes, not to mention little gift sets of goodies especially around the holidays. I just know that if my head is spinning with possibilities so are yours and I can't wait to see what you all come up with! So don't hesitate to pop on over to the Some Odd Girl blog to see some more amazing projects and then stop on by the shop to pick them up for your very own :) And come back tomorrow for another new release set- I promise it won't disappoint! As always, thanks so much for stopping by to visit me- you're the best!! It is just so adorable. I LURV what you've done Katie! Love this funky card, Katie! Adorable card! 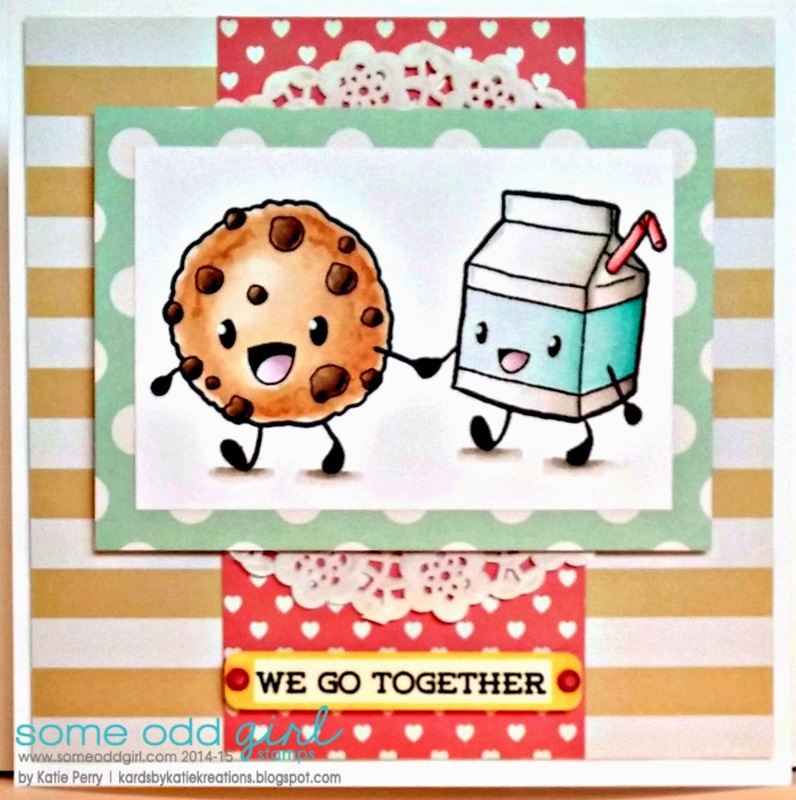 Love your coloring and your patterned papers choices!! These two just make me giggle! Love your card and coloring!